A energetic web presence for a notoriously muted industry. 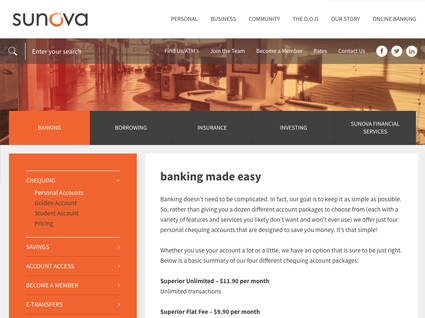 The team at Sunova Credit Union are fun-loving, and they offer a playful approach to banking and financial services. 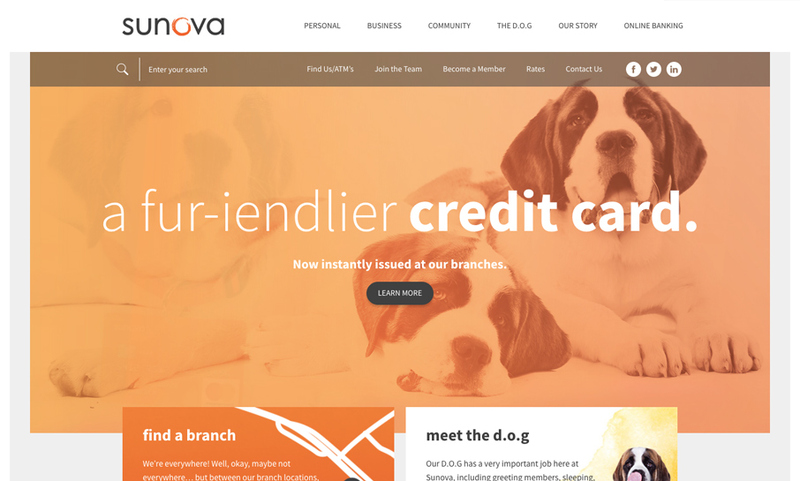 They were looking for a brand-new website for the Credit Union, along with their partner companies, Hubert Savings and BRIO Insurance. Our team will get back to you ASAP about what budget a project like Sunova Credit Union requires.